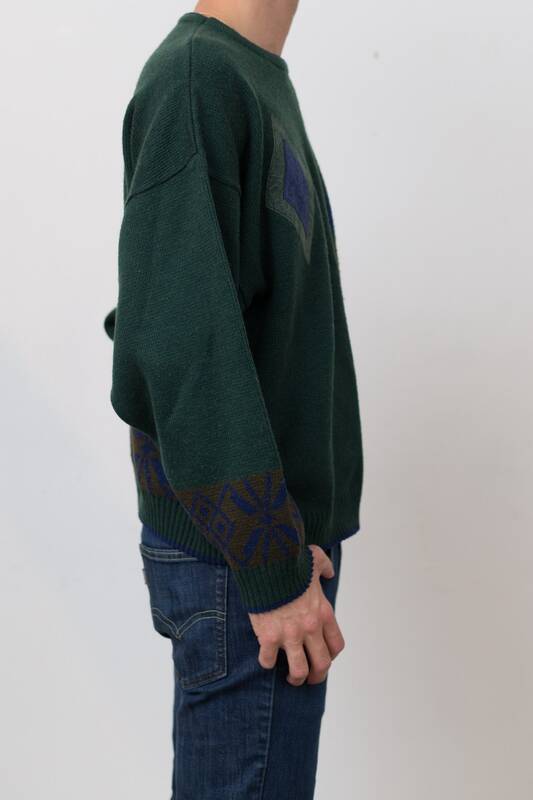 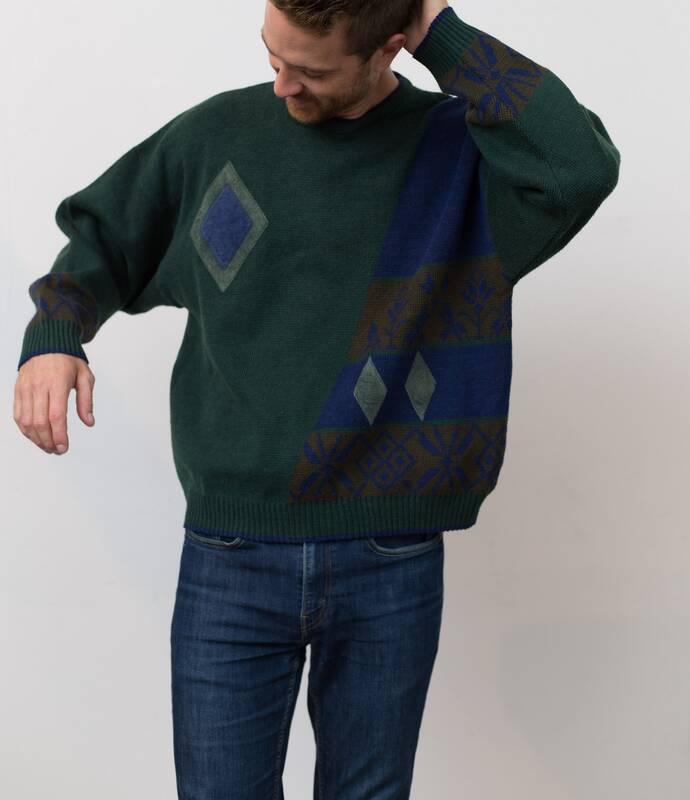 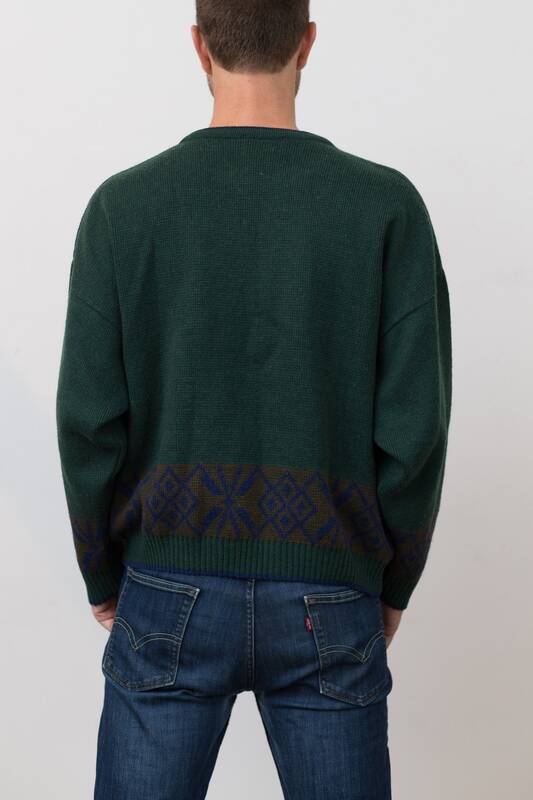 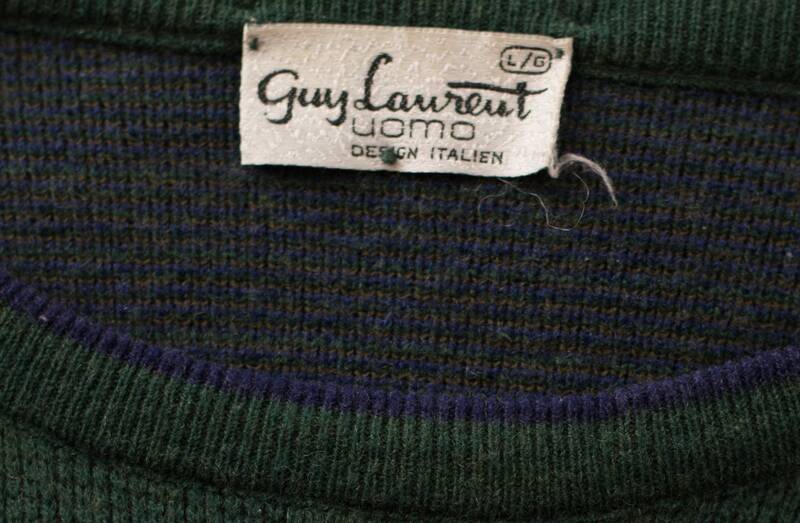 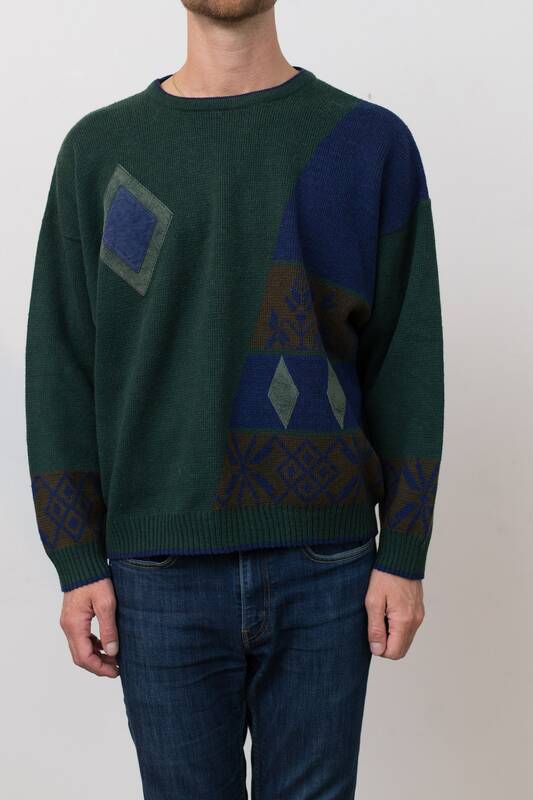 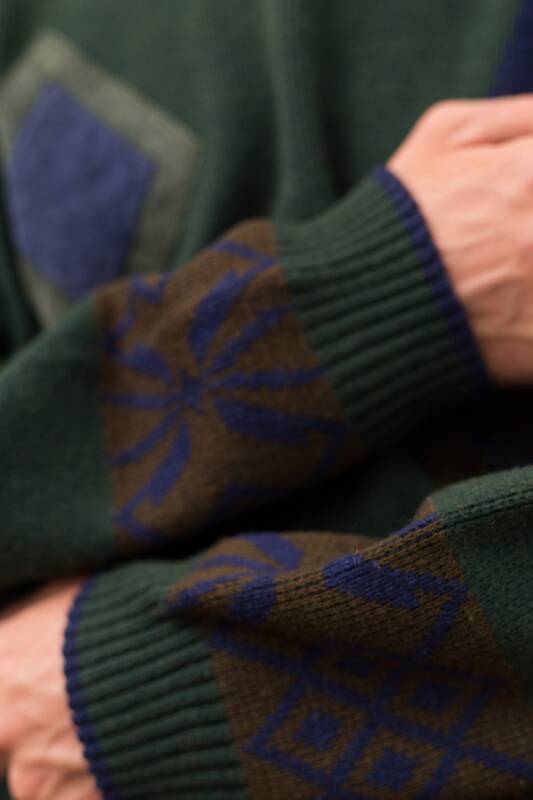 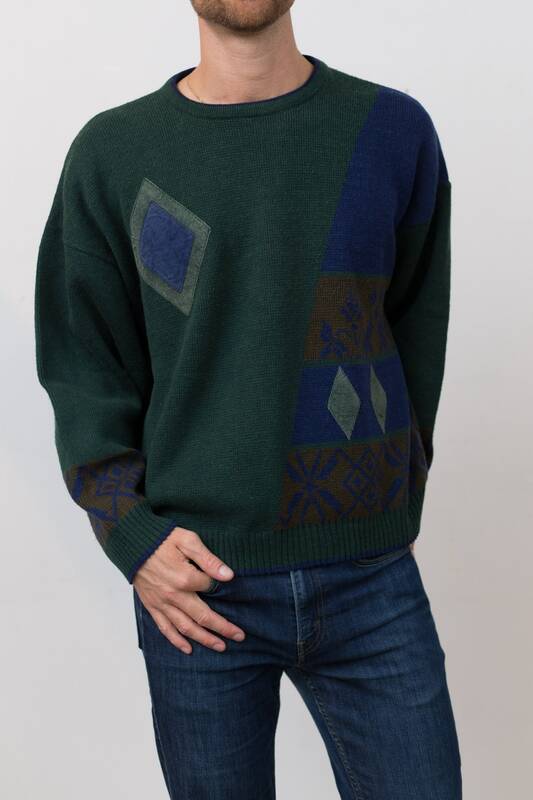 This is an awesome vintage large size green knit pullover with a geometric abstract diamond pattern wrapped around. 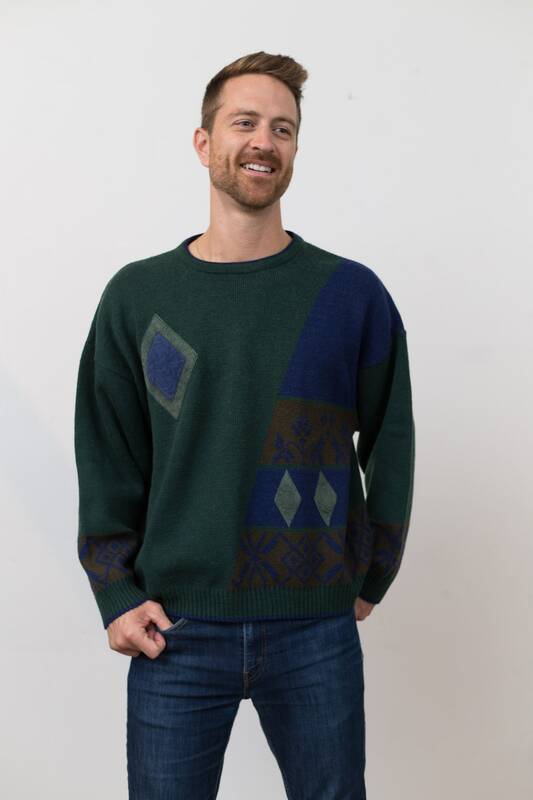 Size: Large (model wears medium). 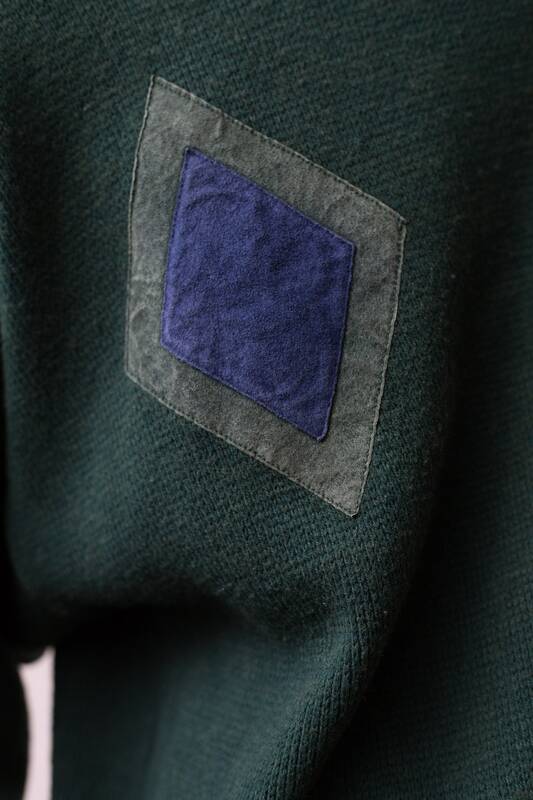 Material: Polyester with leather patchwork. 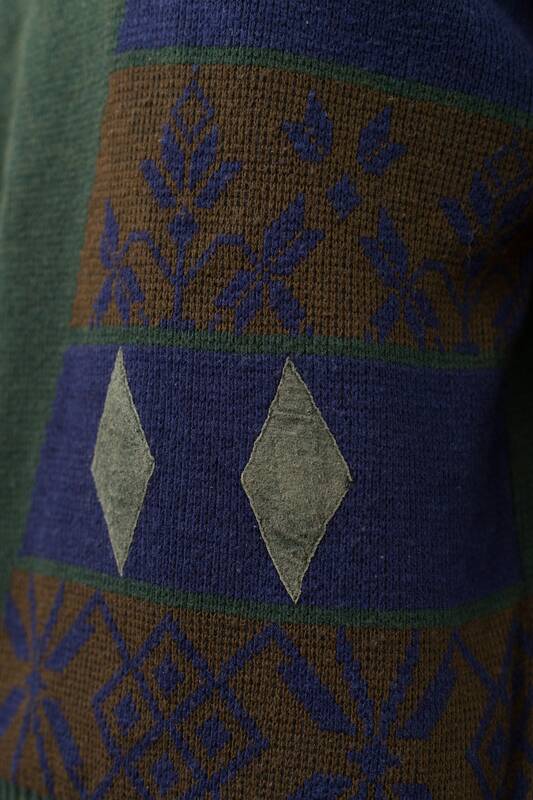 Sleeve length (top shoulder seam to cuff): 19.5"